Whew – was it just me, or did that last Age of Ultron trailer, which came out during the final college football game of the year, skate on the edge of being extremely depressing? The trailer has very little to add to the speculation we impatient fans have been tossing around for, like, years. For the most part, it is a big exercise in frustration – although it does succeed in giving some of us an adrenaline rush! 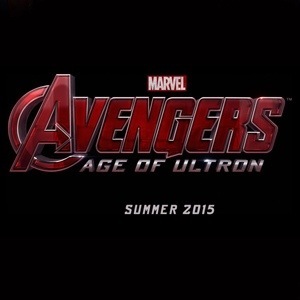 I have to admit that this Age of Ultron trailer has largely left me speechless. I am not sure what I can say about it or the movie it hypes. But I have been thinking about it, and the film, a fair bit, and I do a have a few theories to put out there. So, once again, if you are a dedicated fan who wants to know what happens in Age of Ultron only when you see it in theaters (and, later, on DVD), then read no further. If you are one of those fans crawling up the walls trying to guess what is in the pipes for our favorite heroes, here are my theories for where things might go. Speculation #1: The Avengers in this trailer all seem to be quite willing to tear each other apart. Or, at least, Thor, Tony, and Bruce are. So far Cap, Widow, and Hawkeye are the only Avengers we have not seen mixing it up with their teammates. However, a glimpse of the middle of Age of Ultron previewed at an event sometime last year hints that Tony and Cap are not feeling too chummy with each other during Age of Ultron. The trailer, however, has A LOT of new footage of Tony and the Hulk bashing each other to pieces in the middle of a city. Some people – including me – think that the Scarlet Witch might be the cause of this battle. The reason I feel this way is because, near the end of the new sequence where Tony is battling the Hulk in his Hulkbuster suit, Big Green turns to the screen and we see that one of his eyes is swollen and kind of red. This indicates one of two things. One, Tony hit him in the eye really, really hard. Two, Wanda hexed the Hulk to go on a rampage. Either theory could be true. But right now, we cannot say for sure. What might be said for sure is that Widow and Hawkeye appear to be the only Avengers who are not angry at a particular teammate. This may be a presumptuous conclusion, but so far they do not seem inclined to start a fight with anyone on their team as Thor, Tony, and Bruce Banner/Hulk do. Speculation #2: Widow is most certainly getting more screen time in this trailer, and it seems she will be getting a fair amount of limelight in the upcoming film. The new trailer shows pictures of her walking into what must be a fight, carrying some very heavy artillery (for her, at least, it is heavy artillery), as well as a sequence that shows her getting thrust onto an operating table when she was younger. It would seem that we will definitely get to travel with her down memory lane for a glimpse of her dark history, a past that may be darker than even she recalls. We also get a look at her evolving friendship with Bruce and the Hulk in this new trailer. It appears that, while she and Bruce may have started out on the wrong foot in Calcutta, they have smoothed things over by now. Judging by the fact that she is standing so close to Bruce when Ultron crashes the Avengers’ party, it looks to me like she might have become his unofficial battle partner/handler. That does not mean they are romantically engaged. It is a possibility, of course, but something about that idea just does not add up for me. Bruce and Widow were never anything more than friends in the comics (as far as I know). Also, Betty Ross, Bruce’s first girlfriend, is still a part of the MCU to the best of my knowledge. I do not think it would be all that healthy if Bruce started to date Widow while his old girlfriend was still out there waiting for him. But I am not in charge of Marvel Studios, so what do I know? Regardless, Widow’s friendship with Bruce and the Hulk has apparently strengthened to the point that she can calm him down. It remains to be seen whether or not she is the one who ends the Hulk/Hulkbuster battle in the city or not, but I would say the odds are pretty good that she might be the reason the Hulk cools off. Plus, it is cute to hear her say in the trailer, “Oh, boy.” Yeah, no kidding, Widow! Everybody duck, Big Green’s coming through! Now, for you Serkis fans out there, I am sorry if this offends you. You will just have to keep in mind that I have not seen Andy Serkis playing anyone but Gollum before, and that when he has been interviewed on television, he has appeared entirely different from the character we see in the new Age of Ultron trailer. So I apologize to everybody (including Mr. Serkis) for not recognizing him immediately. If anything, his makeup artist is to be applauded for making him so unrecognizable that he can hide in an Age of Ultron trailer and a few peons will not know him. So, now that I know this is Andy Serkis dressed up as the vibranium-obsessed Ulysses Klaw, I can at least tell where he is in it. Speculation #5: Near the end of the trailer, we see a shot of Thor getting lit up by lightning. Some theorize that, since the scenery around Thor is Asgardian, this might be the part of the film where he runs back to Asgard after Wanda has shown him a vision of what is to come. Some have even suggested that, since his hammer is not visible in this scene and it appears that he is not generating the lightning but is, instead, being hit with it, Thor’s powers are being taken from him. Again. I am not sure I buy that theory. It is a possibility, to be sure, and we are still not certain that the Avengers will not be scattered hither and yon across the Marvel Universe by the end of Age of Ultron. But I think this scene is more likely a shot of Wanda messing with Thor’s mind. How else could she scare him back to Asgard in the first place but by bedeviling him with visions of his home being torn apart? But we cannot be certain what is going on in this scene until we see the movie. Sorry, guys. Speculation #6: There is one thing that has bothered me since I found that clip showing Tony and Cap chopping wood. It is not the scene itself but its setting: The Avengers have clearly been whipped at this point in the film and are taking a breather somewhere in Middle or Suburban America. The problem I have with this scene is the house itself: Who owns it? The second idea I had is that a member of the Avengers set up the house as a refuge, in case something happened and the team had to go underground. The problem with this is that I cannot see Tony selecting a house in a small-town neighborhood as a team hideout. It is inconspicuous, quiet, and simple – the exact opposite of Marvel’s cinematic Tony Stark. Likewise, Bruce has not had a place all his own since he became the Hulk. He was on the run until Tony invited him to Stark/Avengers’ Tower to play in the lab with him. While Bruce’s fortunes may have improved because of that, I still do not see him having a house, even as a worst-case scenario hideout for the team. Cap and Widow are both more comfortable in the city; the chances of either of them having a house as a refuge for the team that is in the middle of a small town are slim to nil. If they have to, Cap and Widow will fade away into the lesser known areas of a city or another such place. Houses in the suburbs are not things they automatically call to mind when they decide to disappear. And Thor stays wherever anyone lets him stay here on Earth; his real home is Asgard, so there is no way he has the house. I am not even sure he thinks in terms of Plan A and Plan B to Z and beyond, like the other Avengers would. One: If Marvel’s Ultimate comic book line – which the company started to get Hollywood’s attention – is as strong an influence on the MCU as I think it may be, this might be the house Hawkeye’s family lived in. In the Ultimate comics, Hawkeye was married and had three young children; he worked for S.H.I.E.L.D. and was partnered with Black Widow/Natasha Romanoff, a S.H.I.E.L.D. agent senior to him. Just after the Ultimates – this comic line’s alternate Avengers – were formed, Hawkeye’s wife and children were brutally murdered. The deaths of his family left Hawkeye suicidal and easily angered; his attitude only got worse when Widow was revealed to be the murderer of his family. He later killed her when she was in the hospital recovering from injuries sustained after she had betrayed the Ultimates. While it seems Widow is not going to be traveling down that road in the MCU (the audience loves her too much for the writers to do that, I think/hope) this does not mean Whedon could not have found a way to retell this incident in Age of Ultron. After all, in The Avengers, we can account for Hawkeye’s whereabouts while he was under Loki’s command only twice before he arrived on the Helicarrier, where Widow snapped Loki’s control over him: the time where he learned Selvig needed iridium and the theft of said metal from Stuttgart, Germany. Besides those two incidents and the Helicarrier, we have no idea where Hawkeye was or what he was doing for the majority of the film. And we all remember Loki threatened to have Hawkeye kill Widow “in every way he knows [she fears]” during The Avengers. I do not think Loki would be above having Hawkeye lead him to his family’s house so that he could kill his family while Hawkeye stood by and watched. Knowing that worm, we could also surmise Loki would think it was a lot of fun to just stand back and have Hawkeye murder his family himself, as Lorelei had a man shoot his own wife on her orders in the first season of Agents of S.H.I.E.L.D. Also, a photo has been posted on marvel.com that shows Tony, Thor, and Cap all standing on the porch of what appears to be the same house where Cap and Tony went out to chop wood. Their expressions each border on horrified. They could be listening to anyone, but there is an outside chance they are listening to Hawkeye tell his gruesome story. This is one theory I really hope does not pan out, readers. I am not sure Disney would let such a story into one of their movies, but Whedon could very well have written this whole scenario into Age of Ultron. I hope he did not, but the thing is that it is a possibility I have been considering for some time now, and it deserves a mention. Two: The other theory is that this is Hawkeye’s house, but his family is still alive and using the place. I do not know how likely this theory is – Hawkeye only had a family in the Ultimate comic line; other alternate versions of the character occasionally have him married to his “mainstream” ex-wife Mockingbird, and occasionally he has a son named Francis. (Hawkeye’s full name is Clinton Francis Barton, so that’s where his son gets his name.) Some versions of the character have a daughter instead, but I will not go into those; they are too confusing and ugly. If this theory is the true one – and I have to say I like it better than my first idea – then it would explain why there are so many people on the porch behind Cap and Tony while the two are out chopping wood. Three: Another option with regard to the house possibly belonging to Hawkeye is that it might be his childhood home. This would tie in with the original comics pretty well; “mainstream” Hawkeye grew up in rural/suburban Iowa. His father was not the greatest, being prone to drinking and abusive to Hawkeye, his mother, and his older brother. If the house is Hawkeye’s childhood home, then that explains how he would own it and why he would bring the Avengers there. Why on earth would he go back to such a place except in the worst of circumstances? If the team just got kicked in the teeth, there would be no better place to hide them then in the very home Hawkeye tried to forget. Four: The house may be Hawkeye’s childhood home, but he may not be the one who owns it. Remember that brother I mentioned a moment ago? I do not know if Charles Bernard “Barney” Barton was ever in the Ultimate comics, but he is a feature of Marvel’s “mainstream” comics. In the “mainstream” comics, he and Hawkeye had a falling out years ago, then seemingly reconciled just before Barney was killed. If Whedon decided to play around with this story instead of the Ultimate comics’ story (not likely, but possible) then it could be that Barney lives in the house with his own family. Whedon might have written it so that Barney is the one with a family and Hawkeye is not; he could easily have written the story so that the two brothers do not see eye-to-eye, while leaving Barney still willing to take the Avengers in for a short period of time. Of course, all these theories could be completely and totally wrong. In that case, I can honestly say that I think I would be largely relieved; some of these theories are things I would be happy to have not come true, readers. Speculation #7: Two other possible explanations as to who owns the house where Cap and Tony go out to chop wood are these: the house is a former S.H.I.E.L.D. safe house Fury tells the team about, or Maria Hill purchased the place on the off-chance that the Avengers might someday need an inconspicuous hidey-hole to assemble where they could lick their wounds in peace. Either of these theories seems more plausible than the ones I detailed above. We have no idea what Fury shows up to tell the Avengers; it could very well be that he wants to give them a list of S.H.I.E.L.D. safe places to hide, as he did in the “mainstream” comics’ Civil War story arc (which will be, apparently, the premise for 2016’s Captain America: Civil War). Maria Hill may work for Tony now, but there is no way in heck that she would abandon her S.H.I.E.L.D. training. I think she would probably rather stop breathing than being a S.H.I.E.L.D. agent, at heart if not in fact. It would make perfect sense to her to buy a place where the Avengers could lay low until they were ready to enter the public eye again. A third option in this direction is that the house belongs to Erik Selvig. This seems unlikely, but it is possible, I think. Still, we cannot know anything for sure until we see the movie later this year. Wow…. That was some serious speculating, readers. Some of it probably counts more as mere hype and questions rather than conjecture, but this Age of Ultron trailer did not have enough new material for me to write a lot about. I had better sign off now, before my fingers fall off with exhaustion. This entry was posted in Ask a Silly Question..., Marvel Comics' Characters and Stories, Movie Reviews and tagged Black Widow, Captain America, Hawkeye, Heimdall, Iron Man, Joss Whedon, Loki, Marvel Comics' Characters and Stories, Predictions, The Avengers, The Avengers: Age of Ultron, The Hulk, the Maximoff Twins, The Scarlet Witch, Thor, Tony Stark on February 27, 2015 by The Mithril Guardian. Wow, the rumors just keep coming, readers! They are flying so hard and fast I can barely keep up with ‘em. Nevertheless, I thought I would venture some of my own theories on Marvel’s upcoming Avengers: Age of Ultron. As you may have noticed, like Marvel’s master archer, I have very little problem offering my opinion on something. I see no reason to stop now. If you are a sensible Marvel fan and you do not want to hear any speculation about Age of Ultron, stop reading here. If you are finding this extended wait for The Avengers’ sequel as trying as I am, then read on! Loki and Heimdall will make an appearance in Avengers: Age of Ultron. Idris Elba let this little fun fact slip out in an interview at some point not too long ago, sending the rumor mill into Warp Factor 5. Whedon promised to give him at least a slight scolding for the “slip,” if slip it was. Most speculators say that Wanda Maximoff will show Thor a future Asgard that gives us a glimpse of Heimdall and Loki. A clip from the middle of Age of Ultron supports the theory that whatever she shows him, Wanda genuinely scares Thor. While I do not doubt Heimdall may show up in Thor’s vision, I am somewhat skeptical that Loki will. After all, as much trouble as Thor has had with his kid brother, we know of one Avenger who is still angry with the Prince of Lies since the events of The Avengers. In my second “Prognostications” post, I theorized that Hawkeye may be immune to Wanda’s manipulations, and I still think that is a possibility. It is certainly something I would have wanted to explore, if I had had a hand in writing Age of Ultron. All the same, what if Wanda does beguile Hawkeye with a vision, not of his future but of his past? What if Loki’s cameo appearance is a memory Wanda forces Hawkeye to relive at some point in the movie? She could, of course, just as easily use Loki only to torment Thor, but we cannot forget who the Trickster harmed most on his last trip to Midgard. Naturally, we will not know anything for sure until May 1, 2015. The amount of gossip going around the Internet about the possible death of an Avenger is so thick, readers, you could use it to butter toast. We have some mighty murderous Marvel fans out there, by all appearances. I cannot understand why so many people seem to be begging for an Avenger’s death. I would prefer it if they all survived, as you are well aware by now. Fiction is showcasing enough death and despair, thank you very much. How about some optimism and positivity, people? Others suggest that Ultron will wipe out an entire fictional Eastern European country (which he apparently did in the comics of years’ past), thus fulfilling the “death” quota these fans seem to be hoping for. Still others theorize that Whedon’s hint “Death will play a part” in Age of Ultron refers to “Mistress Death” – the female form of Death itself. Thanos has been trying to court her for years and, so far as I know, he has still come up empty on that front. These are all possible answers to Whedon’s “death” hints. My own theory on what Whedon meant when he said that “Death will play a part” in Age of Ultron is that Ultron is afraid to die. Think about it a moment. Ultron is artificial; he is a machine. He has no humanity – whatever humanity Tony tried to give him, it did not translate properly. He is unnatural in the same way Doctor Frankenstein’s monster is inhuman. Frankenstein’s monster knew he was not human; he did not come into the world as a human being, with his own soul, his own personality. He was a desperate man’s cooked-up lab experiment. (Boy, is Tony’s statement that Cap is a “laboratory experiment” going to come back to bite him hard.) What will happen to Ultron if he is destroyed? He will cease to exist. Period. That is a terrifying thought, is it not? And for something unnatural like Ultron, it would probably scare him straight out of his circuits if he thought about it too much. The Avengers – they are not afraid to die. Not even Black Widow or the Maximoff twins are afraid of death. Do they want to die? Heck no. But if the price of preserving another’s life – or the life of the whole human race – is their death, then they will sacrifice their lives to protect others. Ultron is not going to do that. His own survival will be his number one goal in the film. He is not going to sacrifice himself to preserve anyone else’s life – if he were willing to do that, then he would not have turned on the Avengers in the first place. He is too egocentric and self-centered to think of anyone but himself. In contrast, the Avengers are selfless. Even Tony will allow himself to be killed if it means saving lives. He was willing to fight to the death against the Chitauri in the first film. Why wouldn’t he still be ready to die in defense of others in Age of Ultron? And yes, I know he might just get that chance. We will see what happens. Vision will join the team. This is practically a given. The only thing to guess at is how Vision will join the team. If I had to make a suggestion, I would surmise that it will be the Avengers’ willingness to fight an apparently hopeless battle, their readiness to sacrifice themselves for each other or for others, which will be the factor that convinces him to abandon Ultron. I could be wrong, of course. If Vision is based on JARVIS, and JARVIS is based on the personality of Tony’s father’s butler – Edwin Jarvis – then maybe Tony will be able to talk him into turning on Ultron. We will have to wait and see. Black Widow’s dark past will be showcased in the film. This has been known almost since day one. My only thought on this is that Wanda may be the one forcing Natasha to relive her dark history. I would not be surprised if, at some point early in the film (or in the middle of it), the Black Widow and the Scarlet Witch went toe-to-toe. The two are fighting women. Pitting them against each other – that is a catfight screaming to be written. I doubt it would be a fair fight but, oh, readers, it would be a fight! Scene #1: Pietro is at one point seen racing through a train car in slow motion. If you pause the video while watching it on a big screen, you will notice that Cap is sitting in the train car, and that Pietro is pushing someone – or something – out the door of the car. Either that, or he is throwing whoever or whatever it is out a hole someone has punched in the side of the train. It is impossible to tell what part of the film this scene comes from. It could be early on, when the twins are initially enemies of the Avengers. Or it could be after they have decided to join the team. I suspect the latter because, from my perspective, it appears that Quicksilver has just zoomed through the train car to save Cap’s life. I think what he is throwing off the train is an Ultroid (a droid under Ultron’s control). I could be wrong, of course, but this is what I think is going on in this scene. Scene #2: The ballet lesson seen near the end of the trailers looks to be a flashback. It might not be, but if it is, I suspect it is related to Natasha. In the “mainstream” Marvel Comics, it was revealed that Natasha received extensive memory alterations from the Red Room operators during her time in service to the U.S.S.R. One of the false memories they gave her was that she had been trained to be a ballerina. This was a lie; she was only ever taught the arts of assassination and espionage – though she is graceful and poised enough that she could be a ballerina, if she so desired. So this scene could be a memory she recalls – or is forced to recall – at some point in the film. Scene #3: At one point in the trailers for Age of Ultron, we see a scene depicting cargo ships beached on what appears to be a sea floor. It looks like the bottom of the Mediterranean Sea, the Black Sea, or the Caspian Sea to me, but it could easily be the floor of any one of the earth’s oceans. What does this scene mean? Anything is possible, but check out the following video and transcript before you read my theory. Stark: I don’t trust a guy without a dark side. Call me old-fashioned. Rogers: (pulls a log apart barehanded before speaking) Every time someone tries to win a war before it starts, innocent people die. Every time. – Courtesy of several moviepilot.com articles. What if the scene with the grounded cargo ships is part of whatever vision Wanda uses to antagonize Tony? Perhaps she shows him a world where he loses his company, or a world destroyed by the Avengers? This last theory would explain why Tony built the Hulkbuster armor, and why he and Banner were doing research that would “end the team.” The Avengers are so powerful that plenty of people are afraid they will go nuts and destroy the world. Wouldn’t Tony come up with plans to stop and destroy his fellow Avengers if they ever “lost it”? This is certainly a story angle Whedon could – and may be inclined to – play around with. It would also tie in to the future Captain America: Civil War film planned for 2016. But once again, this is all pure conjecture. We will know nothing until May 2015. Scene #4: The 1940’s clip showing Cap and Peggy Carter walking into a ballroom is thought by many to be a flashback. It may be, but it might also be a scenario Wanda tries to use against Cap. After all, he “still owes his girl a dance,” does he not? Elizabeth Olsen has reported that Wanda can see into the future, the past, and alternate universes/realities. What if this scene of Cap and Peggy in a ballroom is a vision of an alternate future, where Cap did not end up on ice for seventy years but still saved the world and got to marry Peggy in the bargain? This theory would explain, to me, why Cap was able to “walk away all right” from whatever it is Wanda shows him. We know Wanda can do many things, but if in the Cinematic Marvel Universe she can alter time, that has not been stated. Since she cannot send Cap back to do things differently, he would doubtless recognize that the vision she showed him of Peggy and himself dancing was nothing more than smoke and mirrors. He would accept that the vision might have been but he would know it was not real and could never be real. He would simply recognize it and go on. If this is what happens, then Wanda does not show Cap his “dark side,” she merely tries to paralyze him with regret. Not gonna work, honey. Not gonna work at all. Scene #5: Now, about Cap’s “dark side.” I will admit that this whole scene has irritated me – Cap does NOT have a dark side! He is perfect, just like Galahad and Aragorn before him. But Cap does have a temper. As someone I know explained to me, Banner has stated that he is “always angry.” Who says Cap is not skating on the edge of being “always angry”? Every battle the Avengers fight, they are fighting against someone or something that is pure evil. Would not a totally good person be furious at the atrocities committed by someone or something totally evil? We have seen Cap lose his temper with the Red Skull, Arnim Zola (in computer form), Loki, and, to a lesser extent, with Black Widow, Nick Fury, and the Winter Soldier. But Tony has never seen Cap in a rage. What if the “dark side” Tony has not “seen yet” is a truly enraged Captain America? I don’t know about you, readers, but I would be more afraid of an irate Captain America than I would be of an angry Hulk, no matter how incensed Big Green became! Scene #6: Initially it was reported that, when Ultron makes his first, primitive entrance in robot form during the Avengers’ party, everyone in the room was “weaponless.” Well, anyone with a cork eye knew Thor had his hammer on him; otherwise the team could not attempt to lift it, as depicted in the trailer previewed at the San Diego Comic Con. However, the newer trailer showed a brief scene where Maria Hill is cocking a gun she has brought with her to the party. It is gratifying to know that she is not so brainless as to attend an Avengers’ shindig without a weapon. Since she came to the party prepared, I suspect that Hawkeye and Natasha also have weapons stashed on their persons. What they will be armed with I cannot say, but anyone who makes enemies on a regular basis should never go anywhere unarmed. Natasha’s hand-to-hand combat tactics may not be very effective against Stark-built Ultroids. If she has not got a gun on her, she will probably have at least a knife within easy reach. She had one in New York; I do not see why she would not be wearing one to the party. Like her old SHIELD partner, she would also be able to use nearby objects as weapons. Perhaps she would do it with less speed, but you get the idea. Cap may also have brought a weapon to the party. If he did not, though, I do not see him having much of a problem battling the Ultroids. He ripped a log apart without trouble in the above clip – who says he cannot decapitate an Ultroid barehanded? For Rhodey and Tony, things are going to be a little squeakier. Rhodey has not got his armor within reach, and he cannot summon it. Tony can summon his armor, but Ultron could easily block or override his signal, leaving him unarmored in the face of the onrushing Ultroids. Since Rhodey’s a zoomie (zoomie is the generic nickname given to a member of the U.S Air Force) he may have thought to take a gun with him to the party. But he just as easily could have left it home, thinking nothing bad would happen at Avengers’ Tower. Claudia Kim’s character – whoever she is – looks as though she is going to be a weak spot for the team. Unless Kim’s unnamed character has some hidden talents no one is yet aware of, the Avengers are going to have to protect her throughout this first battle. And while Banner could certainly Hulk-out and clean Ultron’s clock, something tells me he does not want to wreck Avengers’ Tower. This might be the one battle in the entire movie which he sits out – as the Hulk, at least. He could always use a fork to fight with, if push came to shove. Maybe. We will have to wait and see. Well, there you have it, readers. These are some of my new theories for Age of Ultron. Whether they are right or wrong we cannot yet know, but it has been fun to share them with you. If you have your own ideas on what may happen in the film, feel free to mention them to me in a comment below. This is one conversation I could carry on until the cows come home! This entry was posted in Ask a Silly Question..., Marvel Comics' Characters and Stories, Movie Reviews and tagged Avengers: Age of Ultron, Black Widow, Captain America, Chris Evans, Chris Hemsworth, Claudia Kim, Cobie Smulders, Hawkeye, Heimdall, Idris Elba, Iron Man, Jeremy Renner, Joss Whedon, Loki, Marvel Comics' Characters and Stories, Predictions, Robert Downey Jr., Samuel L. Jackson, Scarlett Johansson, The Avengers, The Hulk, the Maximoff Twins, The Scarlet Witch, Thor, Tom Hiddleston, Tony Stark on December 3, 2014 by The Mithril Guardian.